Opening Day for Shelah’s Place! 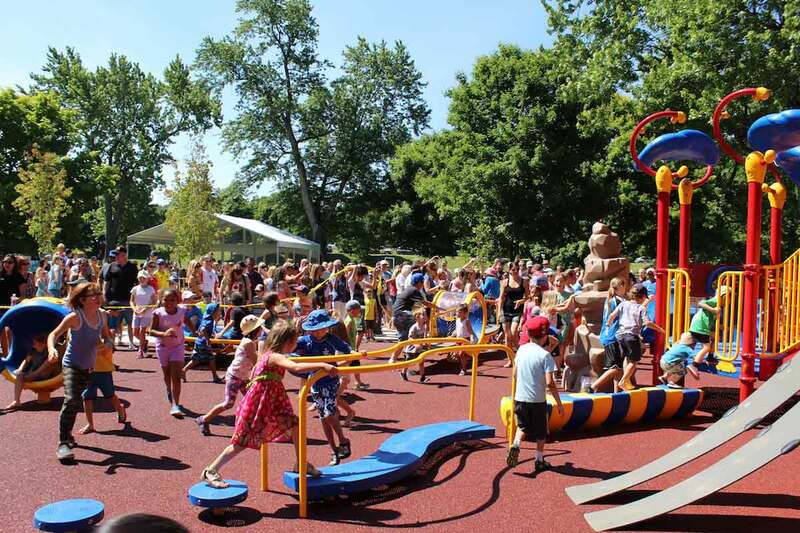 The new playground is finally open! There were hundreds of excited children, just waiting for us to cut the ribbon and then wow! They ALL ran past us to play! That was the moment I had dreamed about but seeing it in person was even better than I imagined. They played on every single new piece of equipment, climbing, spinning, hanging upside down, and all I could hear was the sound of pure joy. 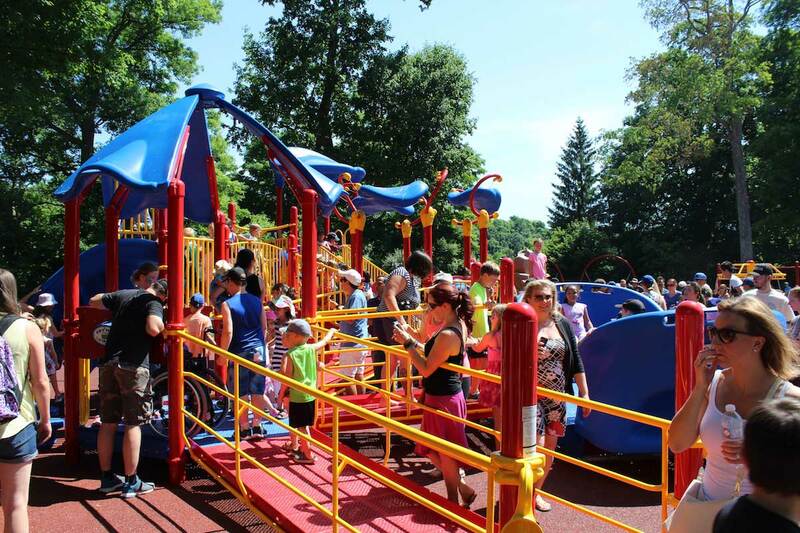 This new play area is now the largest fully accessible playground in the city. 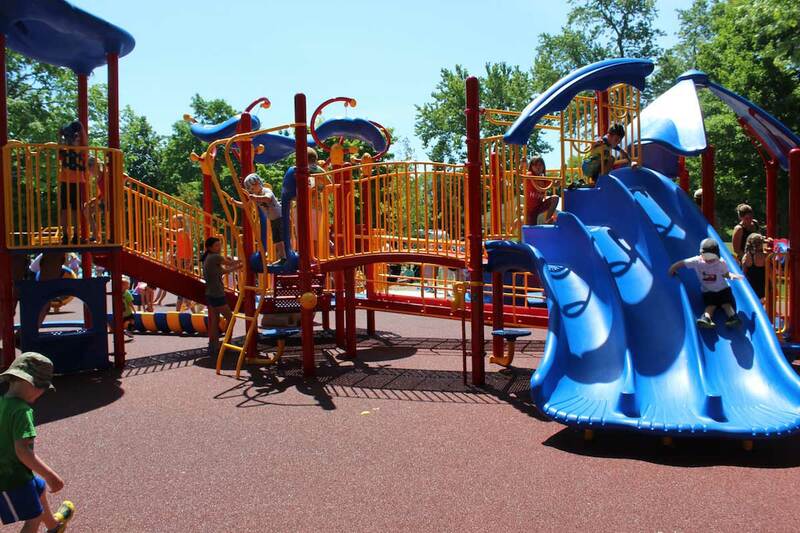 The triple slide seemed to be a big hit with the little ones, especially when they land on the new soft rubber safety surface. It was hard to count but it looked like at least 300 kids ran on to play and we had about 1,000 people who came for the opening. 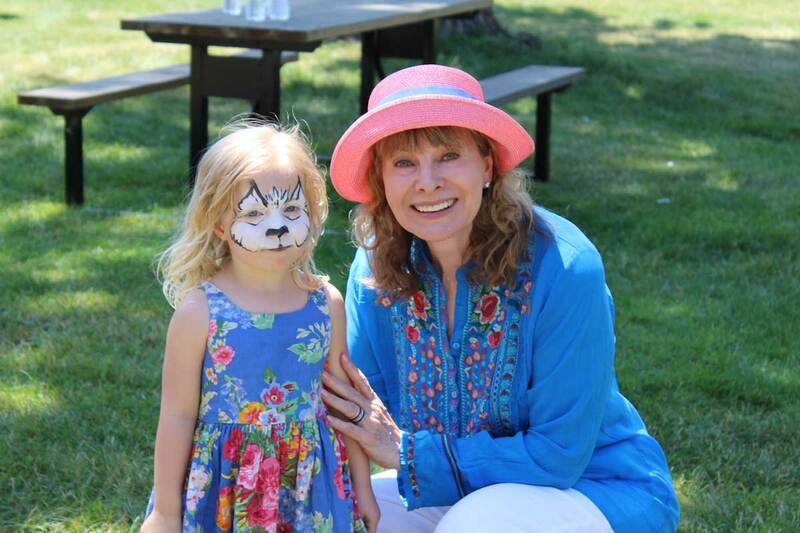 It was so much fun, with free snow cones, cupcakes, and face-painting. Here’s a little girl who stopped to thank me for the new playground. 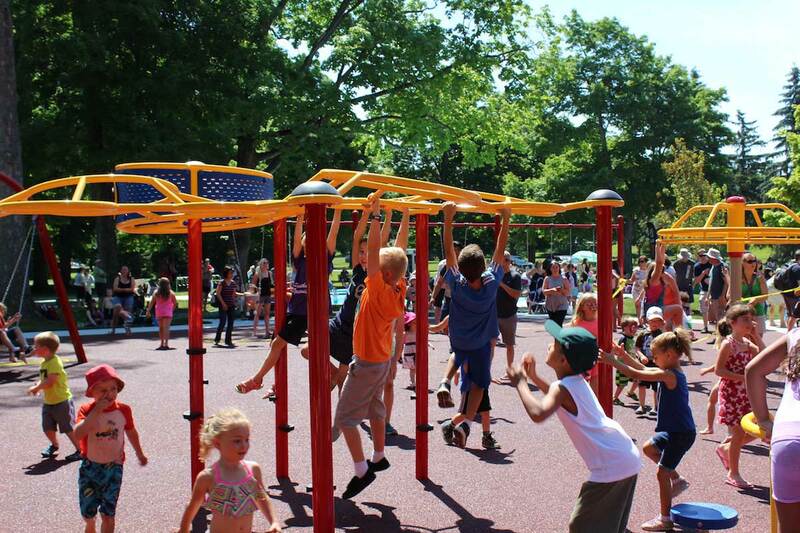 Kids in London are counting the days until the new playground is open and it’s almost ready. The colors are just as fun and bright as I imagined. And the number of things to do will be awesome. I love the triple slide! 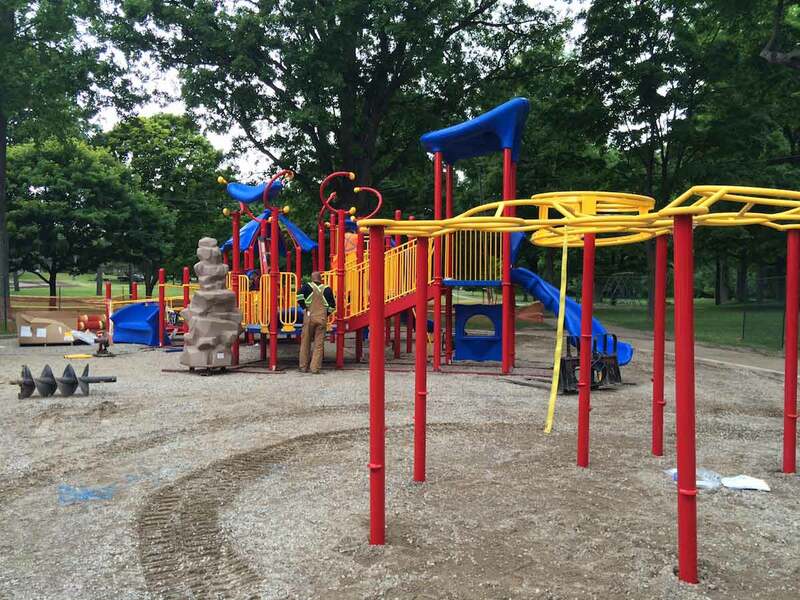 Next, they’ll be installing the rubber safety surfacing and I’m especially happy that this new playground will be handicapped accessible. I can’t wait to see it in person! 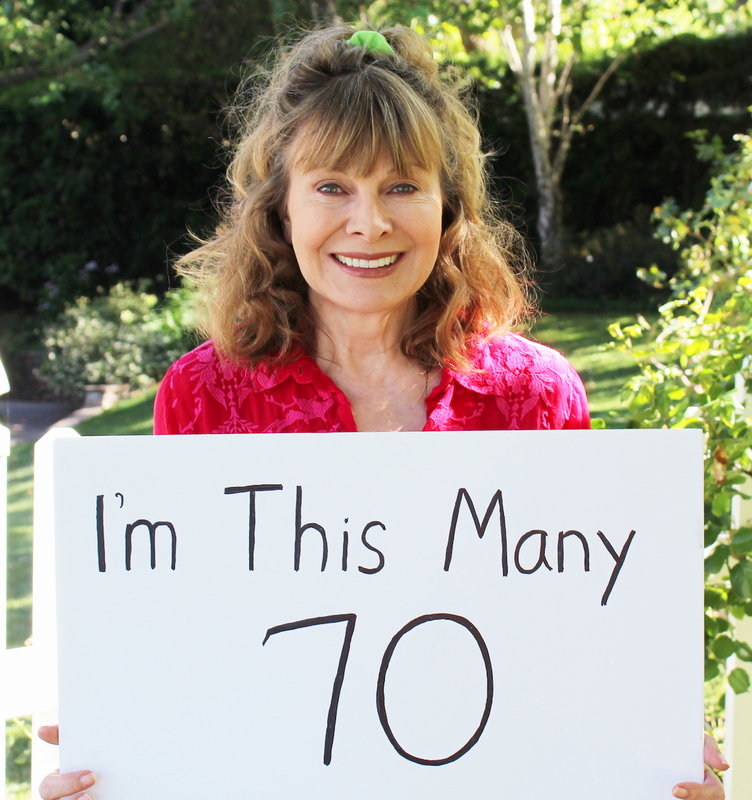 It’s my 70th birthday. I need a bucket list. Anyone care to fill in the blanks? 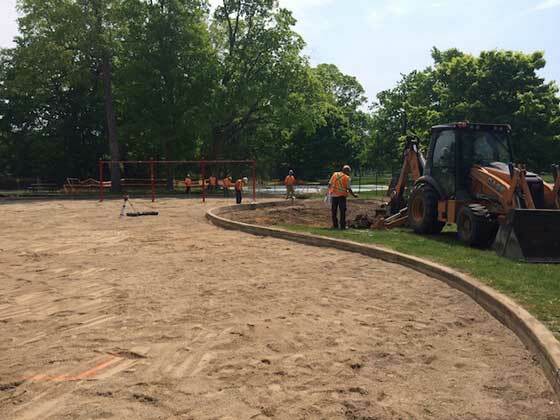 They finally started working on the new playground in my hometown of London, Ontario. 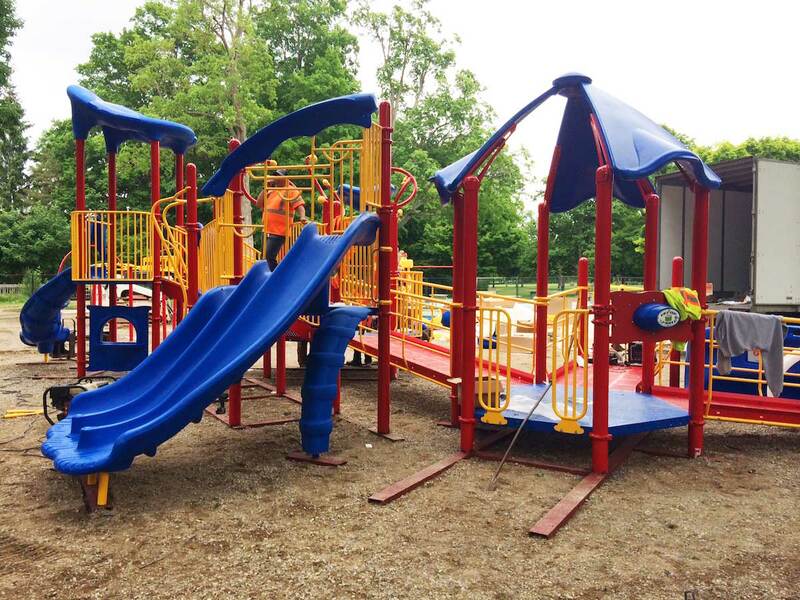 This week they are installing the handicapped accessible equipment. Then next week the entire area gets covered with rubber safety surfacing. 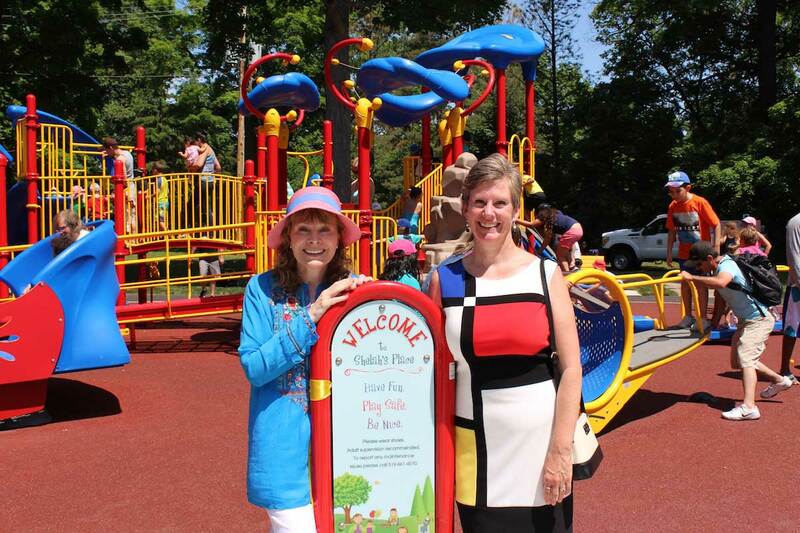 After that, some last minute work, and then the grand opening in Springbank Park. This is the park where I used to play growing up. My sister and I couldn’t wait to get on the swings and teeter totter and we loved the little round wading pool. Springbank Park is a beautiful place that sits alongside the Thames River. Yes, both London, Ontario and London, England have a Thames River. I have only seen pictures of what’s to come and I can’t wait until it’s actually there. The grand opening is coming soon!